Dey Street Books, 9780062455932, 384pp. Brandon Sneed is an author and journalist. He recently joined B/R Mag at Bleacher Report as a features writer. Previously, his stories have appeared in Outside, ESPN The Magazine, and more, and have twice been not-able selections in Best American Sports Writing. When Brandon’s not on the road, his home base is Greenville, North Carolina, where he lives with his wife, toddler son, the baby in his wife’s belly, and their two dogs, a Jack Russell Terrier and a half—Jack Russell half—pit bull. For news about Brandon’s work and events, or just to say hey, visit brandonsneed.com. 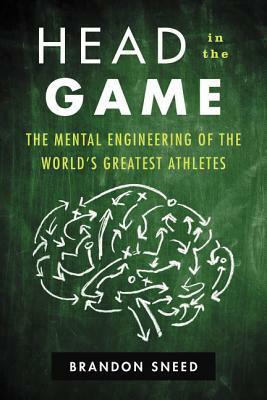 Brandon Sneed has written a thrilling manifesto that reveals the many ways we can enhance the efficiency of our brains to improve our games and our lives. This book is great. Anyone looking to learn more about the world around them and how the athletes they adore do what they do should read it immediately. — Kate Fagan, espnW columnist and author of the forthcoming What Made Maddy Run?